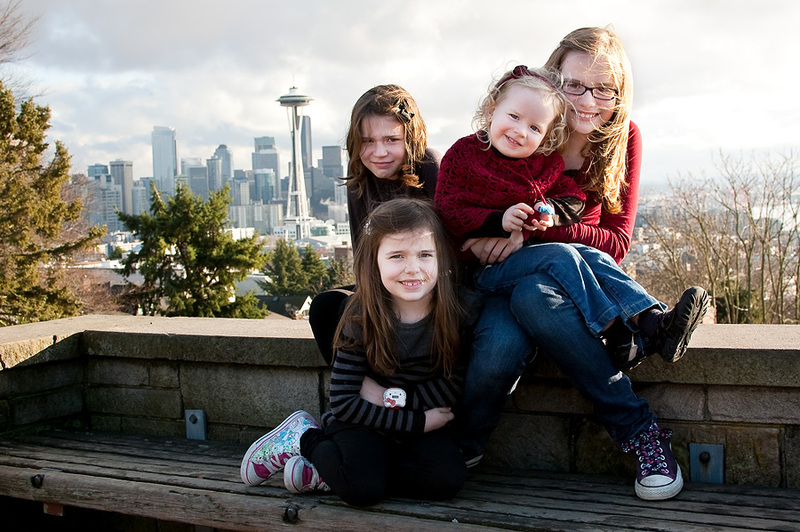 Today I had planned on heading down to Kerry Park to get some pics of the girls for our Christmas card. This is the latest I have ever waited to do this, so the pressure is on. Kerry Park is popular because of it’s scenic view of the city and Space Needle. When I got to the park there were about ten other photographers there. I tried to find a spot and set the girls on the wall. Everyone was very nice there and let me try to get shots of the girls, notice I said try. There was so much going on, they just wouldn’t look at me. Even another photographer tried to get them to look at me. This would be the one pic I will show you. The rest are them fighting, complaining, and crying. It was absolutely horrible. I left there with JuJu screaming and the other girls crying. I don’t push them, so when it isn’t working then I will just leave the place and stop what we are doing. It isn’t worth it. I did try again at another place. We stopped at Green Lake on the way home and tried for pics one more time. This time it was much more quiet and less crowded. Again they were just cold and cranky already. I might have gotten two pics from this place. That would be 2 pics out of 133 pics taken today!!! 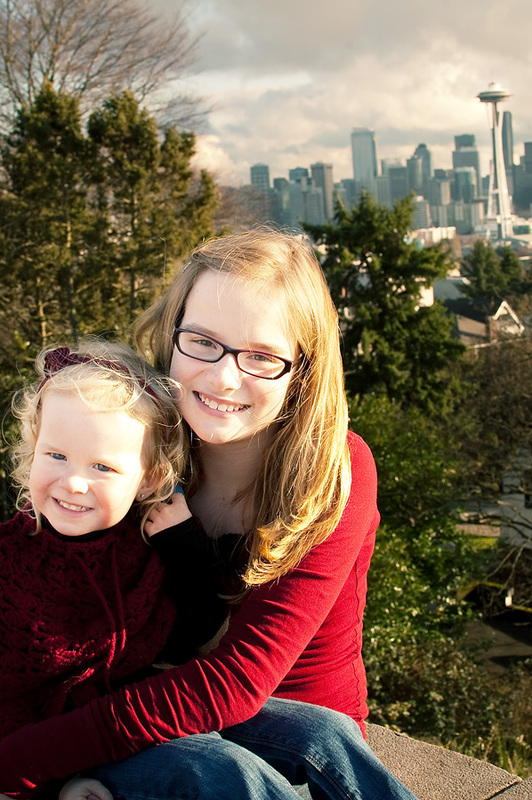 The one pic I got at Kerry Park with all the girls. UGH! Molly and Juju (the only time JuJu smiled) She cried the rest of the time. So after a long day, I have just figured that taking these pics are necessary but shouldn’t be stressful. So I will try to pick from what I got today and not try to be such a perfectionist. Thankful for the days that they don’t mind me taking pics. 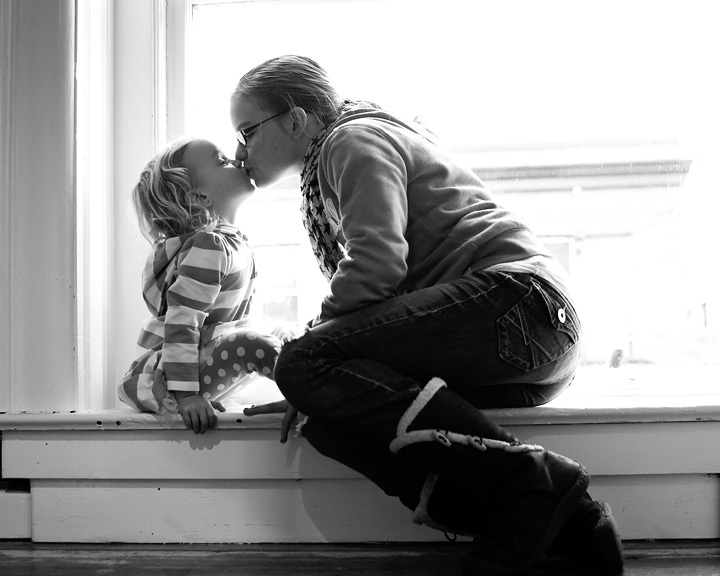 Aw Jenny, I love your gratitude pic today! That is so sweet! !